Behind her sweet smile and twinkling eyes, Sofia Cole, 51, is a fighter. That’s because 15 years ago, she was told that she had only 3 more days to live and advised to say Goodbye to her family. 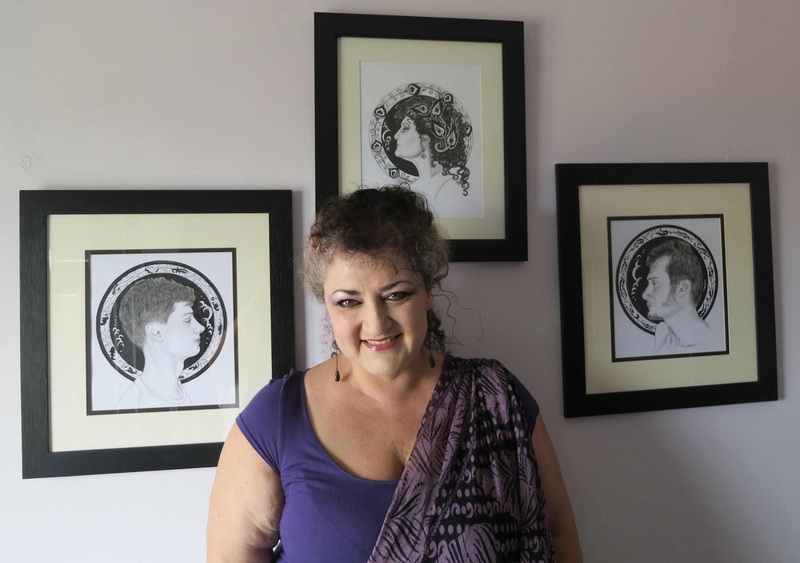 She was devastated when she was diagnosed with non-Hodgkin lymphoma because her children, Stefan, Sasha and Sebastian, were then aged 6, 4 and 18 months old. 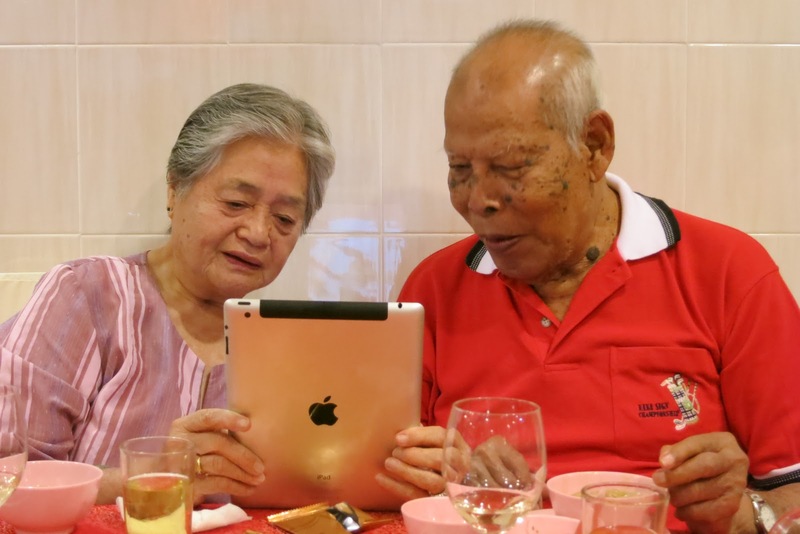 Her first thought was, “I can’t die – I have so much to do!” as she grappled with how she should break the news to her husband and family. Her B-cell lymphoma was the size of a grapefruit and inoperable as it was wrapped around her heart. She went through chemotherapy and radiotherapy treatments and fought the battle with tenacity as the drugs ravaged her and her family was traumatised by the ordeal. “My life is defined as “Before cancer” and “After cancer”,” said Cole, whose illness went into remission for about 5 years before she started experiencing black-outs with convulsions. For her own safety, she had to give up her driving license and one day when she collapsed in the street, the doctor suspected that she had a late onset of epilepsy. In hospital, the medication was making her heart race and they discovered that her heart was failing. Since Cole was fitted with a pacemaker, she is able to enjoy a better quality of life and continues to have regular health checks. Born in Essex, Cole, who once worked in London and lived in Devon, England, now makes Johor Baru her home. As an artist, Cole had a long road to recovery after her illness because due to the numbness in her fingers, she could not draw fine pen illustrations. 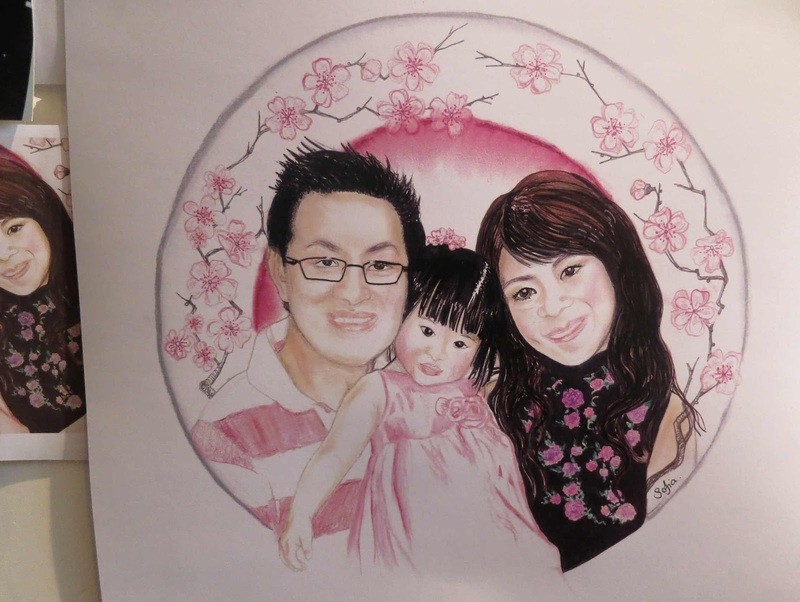 She struggled on with sheer determination and it was about 12 months later before she was satisfied with her drawings. So the successful completion of each portrait was indeed, a sweet achievement for her. “If I’m not reading, I’m drawing,” said Cole as she showed off her collection of classics, mainly by Jane Austen as well as prequels and sequels to Pride and Prejudice and confessed that she is a Jane Austen buff. Being dyslexic, she desperately wanted to read but could not until she was 11 years old. So once she started reading, she could not put the books down and is now an avid reader and reviewer of Jane Austen classics. 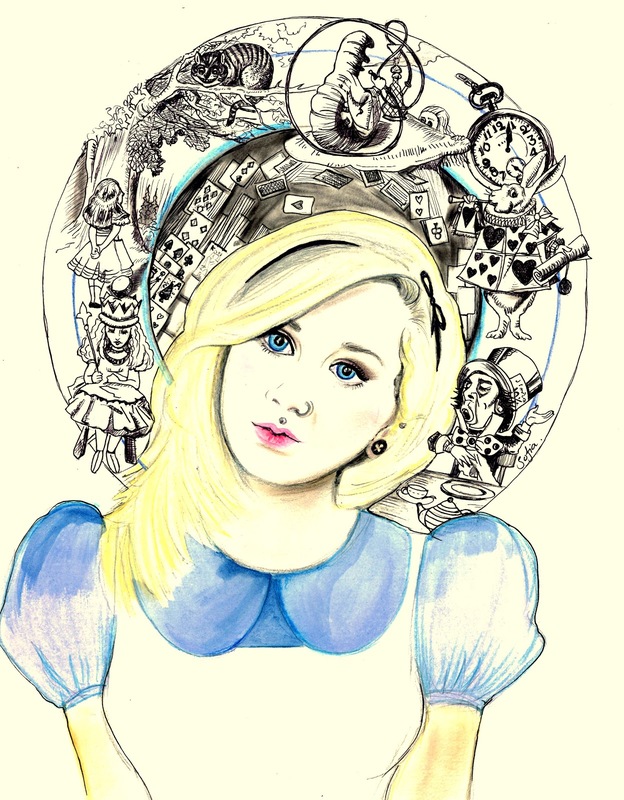 When their family lived in Dartmoor, Devon, Cole was involved with the Chagford Filmmaking Group, a non-profit volunteer organization dedicated to preserving the heritage of English fairytales in films. 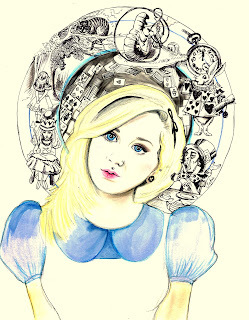 Cole’s children are her inspiration and while they joined the casts to act in various films on folklore, she focused on helping to design and make costumes and dress up mythical characters like fairies, water nymphs, flowers and giants. 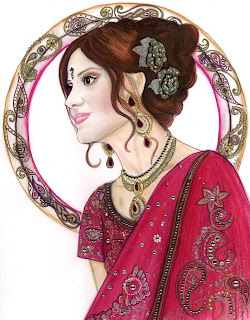 These colourful characters were later immortalized in her paintings designed in portraits crowned by a halo filled with interesting icons, often in intricate decoupage. Devon is one of the wettest parts of England and Cole depended on all sorts of medication to stay free from frequent coughs and colds. As a cancer survivor, she was ready for a radical change, and after a family meeting, they decided that the time was ripe to go on a Round-the-World trip. But before they left, Cole had to take her daughter to see Venice because it was a special place to her and was where she had honeymooned. In November 2008, armed with one suitcase each, Cole, her husband and children headed for their first stop, Pattaya, Thailand, to join Stefan who was taking a diving course there, but due to protests in Bangkok, the airports were closed. So they landed in Singapore and had an adventure travelling by coach via Johor to Penang, en route to Hat Yai and finally arrived in Pattaya for Christmas. Cole and family took a slow return trip through the peninsula with stops in Pangkor, Malacca, Tioman, Kuala Lumpur and Johor through to Singapore before leaving for Australia. After 3 months in Adelaide, Melbourne, Sydney and Brisbane as well as diving in the Great Barrier Reef, the family journeyed onward to New Zealand, Fiji, Hawaii and Los Angeles and Las Vegas in the United States of America. Her husband was expecting her to say, Malacca, but she decided on Johor because she felt that Johor Baru has the best of everything. The city is situated close to Singapore and they can enjoy visiting the islands off Mersing for diving and snorkeling. “I feel better than I have in years,” declared the affable Cole surrounded by her paintings in her 6th floor apartment that commands a panoramic view of the Johor Straits. 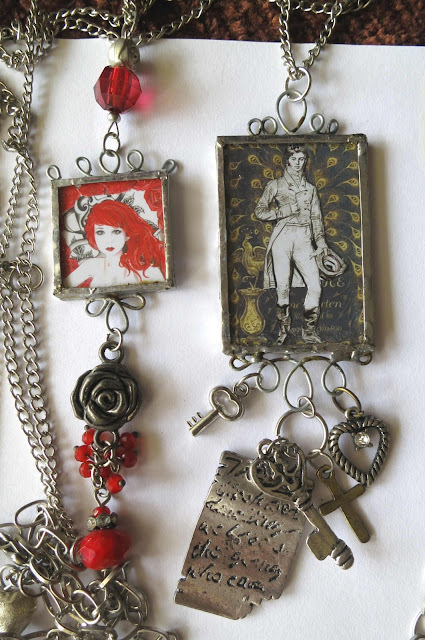 With more time to herself now, Cole can concentrate on her art – portrait painting and creating wearable art which she calls, “danglies” that feature characters from English classics. These vintage looking danglies are designed in themes like Beatrix Potter, Mary Poppins, Alice in Wonderland and Pride and Prejudice. 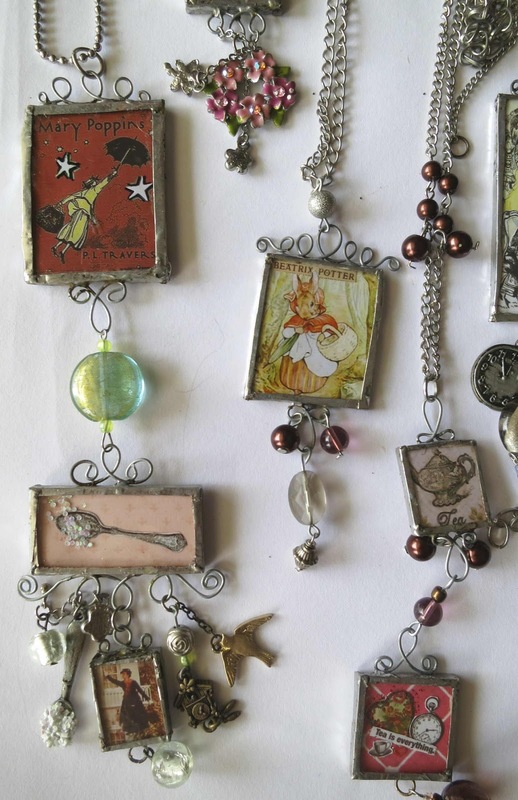 “It’s someone’s childhood caught in bits of glass,” said Cole about the tiny paintings of the characters fitted into frames and linked into danglies. One of these truly unique creations is the pretty Mary Poppins dangly that even had a tiny teaspoon framed with several crystals for a 3-D effect portrayal of “a spoonful of sugar” that helps the medicine go down! Cole is inspired by the people she meets and if a person or picture caught her attention, she will not hesitate to approach them to ask if she could draw him or her. 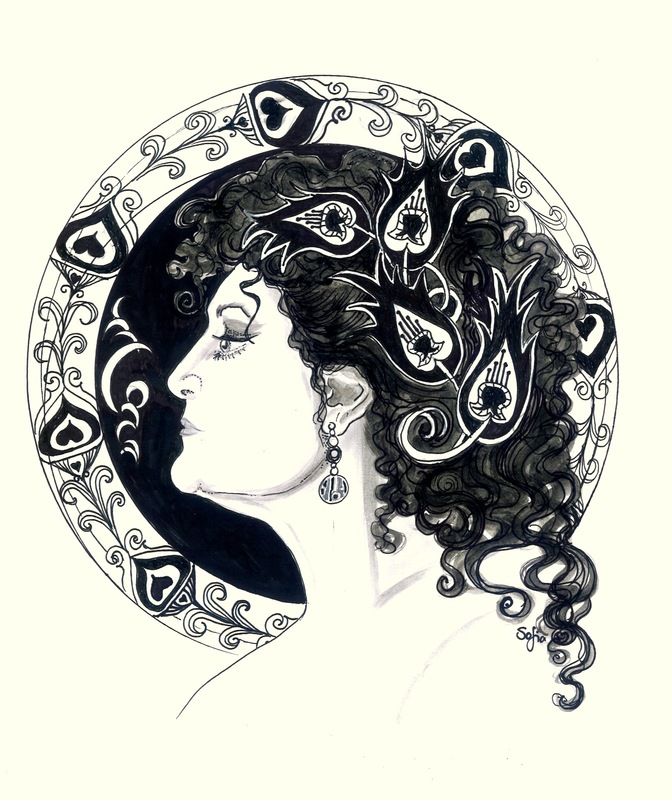 One of her favourite portraits rendered in a Black & White pen illustration is 5-year old “Maslinda’s boy” a cheeky boy whom she met in a café close to her apartment. Just before Hari Raya, Cole’s cleaning lady approached her with a photo of her mother and mother-in-law and asked Cole to paint a portrait of them so that she could present it as a Hari Raya gift. Cole also paints portraits in mixed media and in oil paints besides painting portraits from photos. of her daughter, Sasha, [Left] when she was going through her red hair phase! Imagine the thrill of gaining exclusive access to the city’s finest restaurants and bars, the hottest designers and retail outlets, special suites at the best hotels, the most exciting attractions in town and red carpet entertainment experiences. In seeking to meet the passion points of cardholders and reward them for choosing to use MasterCard, cardholders in the Priceless Singapore programme will be surprised and delighted with exclusive experiences under the iconic Priceless brand that celebrates Priceless moments and brings Priceless experiences to life. On Oct 12, Singapore became the first city in South East Asia to launch the MasterCard Priceless Cities programme, a global programme for all MasterCard credit, debit and prepaid cardholders to enjoy privileges, priority access, sneak peeks and exclusive deals in dining, entertainment, shopping, travel, and to the city’s special events. Singapore joins New York, London, Toronto, Chicago, Beijing and Sydney as another destination in the MasterCard Priceless Cities programme. MasterCard Worldwide cardholders are eligible for additional VIP experiences. Now, discerning and well-travelled cardholders can start enjoying these special deals by registering at www.pricelesssingapore.com and planning their own priceless itinerary to explore Singapore. ﻿﻿“Consumers today are well-travelled and discerning. 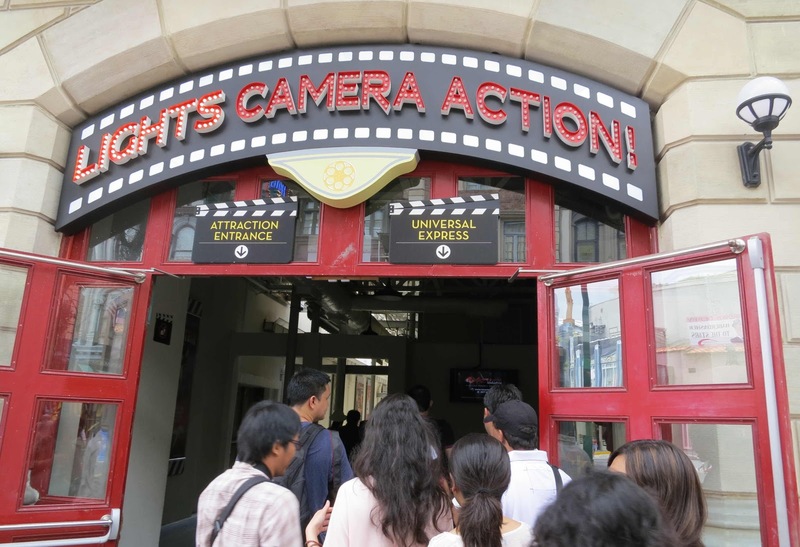 They seek exclusive offers and curated experiences that cater to their specific interests and needs,” said Sophia Ng, Singapore Tourism Board’s Assistant Chief Executive for Marketing. “We are privileged that MasterCard has selected Singapore as the first city in South East Asia for their iconic Priceless Cities campaign and believe that Priceless Singapore will resonate well with both Singapore residents and international visitors,” she added. 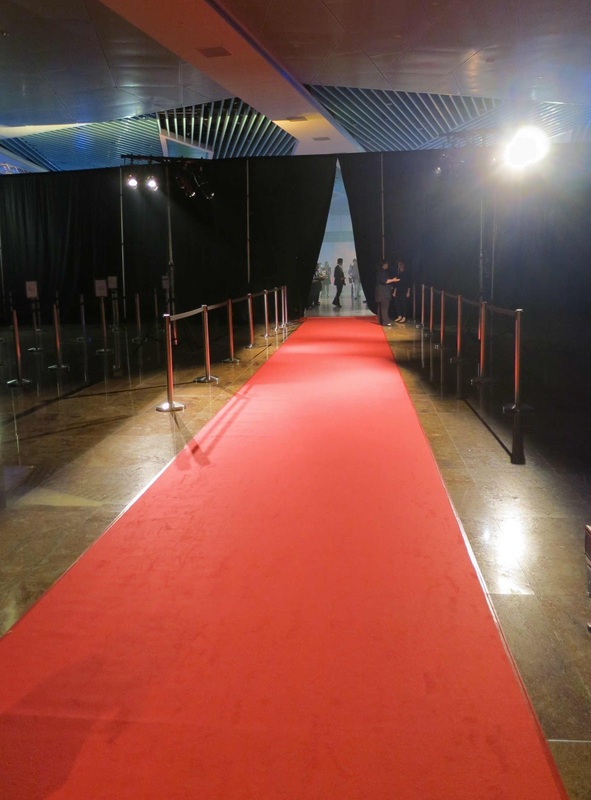 That evening, guests at the Priceless Singapore Gala Event walked the red carpet into the event area – designed inside Singapore’s brand new Marina Bay Cruise Centre – for a sneak peek into the perks that MasterCard holders can enjoy in the Priceless Singapore programme. The gala evening turned out to be a party of friends who knew how to enjoy the finer things in life. Programme partners, The Singapore Repertory Theatre, had a stage set up with several characters from Shakespeare plays, reenacting scenes from ‘Shakespeare in the Park’ performances like A Midsummer Night’s Dream, Macbeth and Twelfth Night. The MasterCard Priceless Singapore platform amplifies Singapore’s appeal as a destination on the world map for a fusion of arts, music and literature. 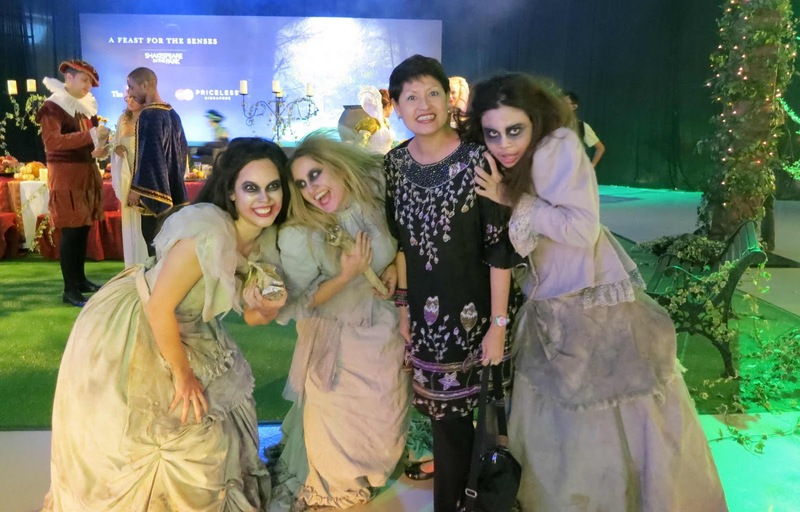 Guests had a taste of these theatrical performances as they anticipated enjoying more priceless theatre moments in the Priceless Singapore programme. 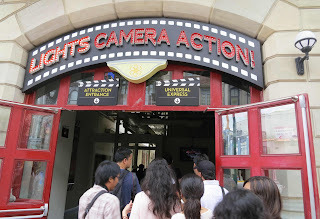 Express entry to Lights Camera Action! 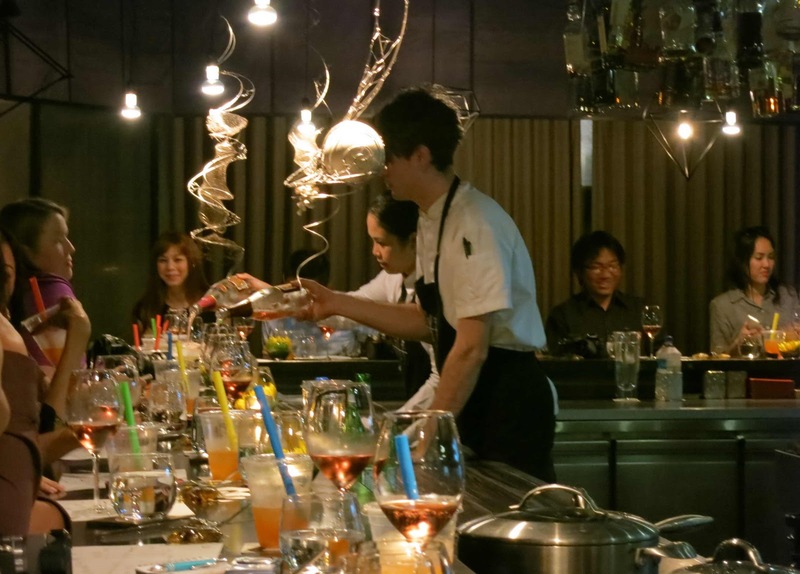 Uniformed staff plied guests with drinks and food catered by Ritz Carlton Singapore and behind a curtained section, guests had a sampling of delicious designer artisan spa chocolates and a quickie shoulder massage treatment with Adeva Spa therapists. A creative percussion performance by the Urban Drum Crew kicked off the evening’s programme and in a random draw, MasterCard Priceless Singapore rewarded several lucky people with exclusive prizes like a VIP trip to the UK for an English Premier League football match and a private dining experience for the winner and thirteen friends at the luxurious Gaggenau Experience Centre, prepared by some of Singapore’s most celebrated chefs. In the high point of the Gala Event, MasterCard surprised and delighted guests with a priceless experience in an exclusive appearance of award-winning English soul and R&B singer-songwriter – Seal. As the screen next to the stage showed “live” scenes of Seal’s entry into the event hall, his band (already on stage!) struck up the music and security personnel helped to part the surging crowd as Seal walked in singing! 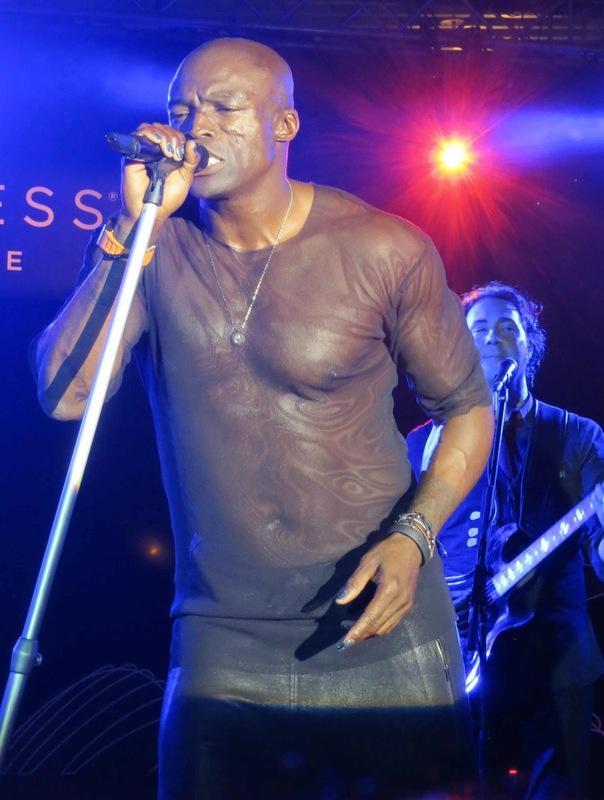 This kicked off 45 solid minutes of special Seal moments where he entertained and enthralled the appreciative audience with his distinctive brand of music! Seal presented an intimate showcase of his unique repertoire and like a true professional, worked the audience with his lively banter. He belted out familiar favourites like, Crazy and of course, Kiss from a Rose from the Batman Forever soundtrack. He connected easily with the enthusiastic audience and when he finished his final song, the feeling was so pricelessly euphoric that everyone was reluctant to see him go. This was just a glimpse of how MasterCard would go out of their way to ensure that cardholders will have truly priceless experiences. Check out more exclusive experiences available to MasterCard cardholders at www.pricelesssingapore.com and register to enjoy special admission, behind-the-scene access and exclusive privileges for dining, entertainment, shopping, travel and spectacular events in the Priceless Singapore programme. Since I was a child, I observed my dad reading the daily newspapers and his subscriptions of Life magazine and Reader’s Digest. At first, I started looking at the pictures and enjoyed the full-colour quality prints in Life and gradually progressed to reading the shortest columns in Reader’s Digest like Laughter – the Best Medicine and Humour in Uniform. I also enjoyed trying to improve my vocabulary by taking the challenge in the Word Power page. Dad could spend his leisure hours quietly reading and I realised that much pleasure can be derived from it. Close to my birthday in 1969, we had a family shopping trip and in a book store, dad said I could pick a book of my choice as his gift. And from the countless books in the store, I zeroed in on a glossy hardcover ‘bumper’ issue of the Beano Annual! I was thrilled to have a book of my own but letting mum wrap it up – only to be opened on my birthday – put quite a damper on my excitement. It may not have been intellectual or inspirational but at that time, the Beano was my heart’s desire. When I finally tore off the wrapping paper on my birthday, I read and re-read the adventures and antics of well-loved characters like the Bash Street Kids, Dennis the Menace, Minne the Minx, Biffo the Bear, Billy Whizz, Roger Dodger and Gnasher, and Lord Snooty, among others. Long before there were animated TV cartoon characters, my imagination helped me understand the sequence of the story as I read the dialogue bubbles next to illustrations in the comic strips. They may only be cartoon characters but I could relate to them and easily identified with their pains and perils. Till today, I can fondly remember weird and nerdy characters among the Bash Street Kids like Spotty, Fatty, Smiffy, Cuthbert and especially, Plug! ﻿﻿Snow White & Rose Red was the first fairytale storybook I received for Christmas from Auntie Annie and since then I started reading books with fewer pictures. As my sisters were already into reading Enid Blyton books – Secret Seven, Five Find-outers’ mysteries, Famous Five and the Malory Towers school series – I joined them in devouring book after book during the holidays. Colourful characters like the bumbling Mr Goon and his nemesis, Frederick Algernon “Fatty” Trotteville – a master of disguise, and spoilt Gwendoline and her indulgent mother, became juicy topics our of conversation. In secondary school, I was introduced to the Bard in Lamb’s Tales from Shakespeare – a simplified version of William Shakespeare’s plays and I went on to study books like Hamlet, E. M. Forster’s A Room With A View, Great Expectations by Charles Dickens and Jane Austen’s Pride and Prejudice. As I enjoyed the serious side of Literary Appreciation, I cannot forget the thrill of meeting the single, rich and suave Mr Darcy! When reading was for passing exams, it became rather tedious but I still enjoyed the stories and often could not wait for the next lesson but read ahead to find out, for instance, what happened next with Pip, proud Estella and cranky old Miss Havisham. 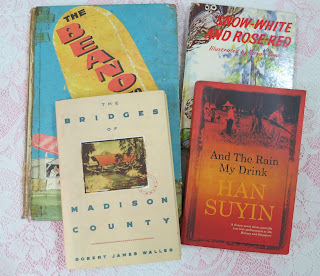 At this time, I remember how avid readers in our class used to exchange stacks of well-thumbed romance paperbacks even though it was strictly prohibited in school. As a late-starter, I had yet to discover the genre of Mills & Boon books but I knew that they were super un-put-down-able because even the prefects were reading them in class – behind their open Geography books! While my eldest sister was working, she enjoyed a healthy diet of Women’s Weekly Library romances, mostly exchanged from the second-hand book dealer located at No. 6 Jalan Trus. 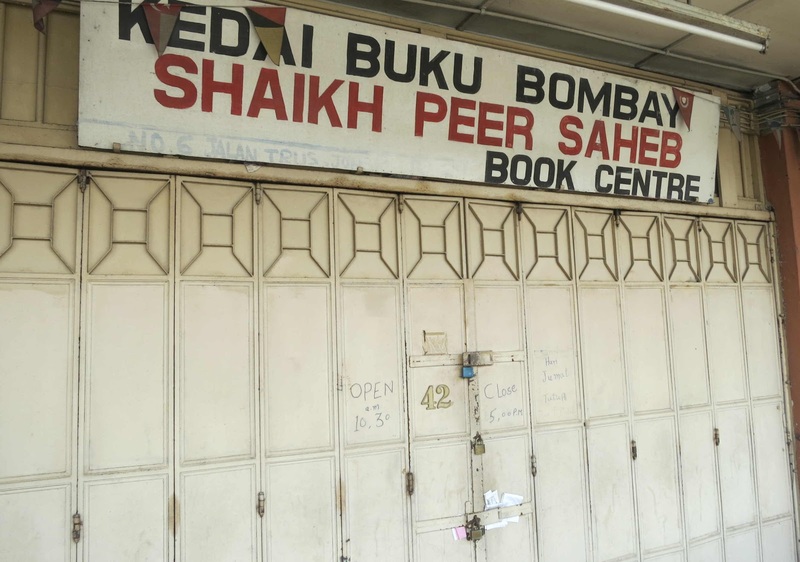 The Bombay Book Centre was filled with dusty used books and was a popular destination not only for leisure readers but also students and professionals for their stock of rare reference books. This iconic shop in the heart of old JB, has close to a 100-year old history but after its relocation to Skudai, the business did not stay open for long. My friend Gerard confessed that his passion for Han Suyin’s work was reignited recently but was disappointed that he could not find any good second-hand book stores in JB for his search of her classics. It made us wonder if this was an indication that people in JB do not have a healthy reading habit. 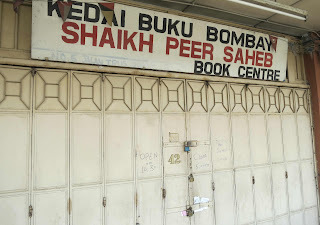 So I pointed him to my pre-loved books havens in Chowrasta Market, Penang and Bras Basah, Singapore, as well as in Malacca and Ipoh, where they are stocked wall-to-wall with second-hand books! Meanwhile my dad and I have been active members with JB’s two public libraries – borrowing books, first from the one at Jalan Datin Halimah and now from the other at Jalan Yahya Awal. 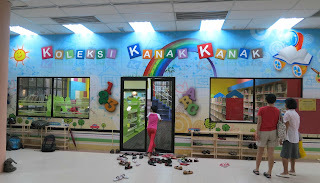 It is interesting that the latter recently added a spanking new section, filled with books for young readers, that was officially launched by the Johor Menteri Besar Dato’ Abdul Ghani Othman on 18 October. This augurs well for JB’s reading public and I hope parents will make full use of this facility to inculcate a reading habit because reading will fire their children’s imagination and open new horizons that will enrich their lives. Billed as the biggest wushu event of the year, “Wushu Fusion” lived up to its size with 1300 people in the audience who watched 10 wushu performing groups of 400 junior wushu artistes. When the doors to the auditorium of SJK(C) Foon Yew 5 were opened, the audience was ushered to their seats to enjoy 90 minutes of non-stop martial arts and contemporary dance, choreographed in interesting scenarios. Using minimal props, clever lighting, special soundtracks and expressive choreography, every performance told its tale without any dialogue. 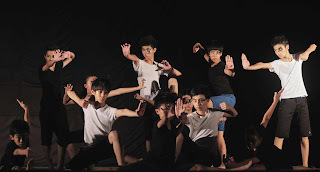 “The experience from this performance will help to transform them into real wushu artistes,” said Lee Swee Seng, Artistic Director and Choreographer of Lee Wushu Arts Theatre, about the junior wushu artistes, adding that many of them were performing to a public audience for the very first time. 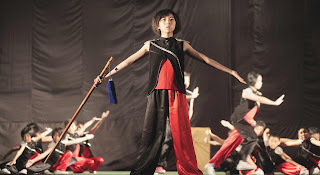 In recent years, Lee Wushu has established a reputation, both locally and abroad, for presenting brilliant shows of artistry in a creative blend of wushu martial arts with modern dance. 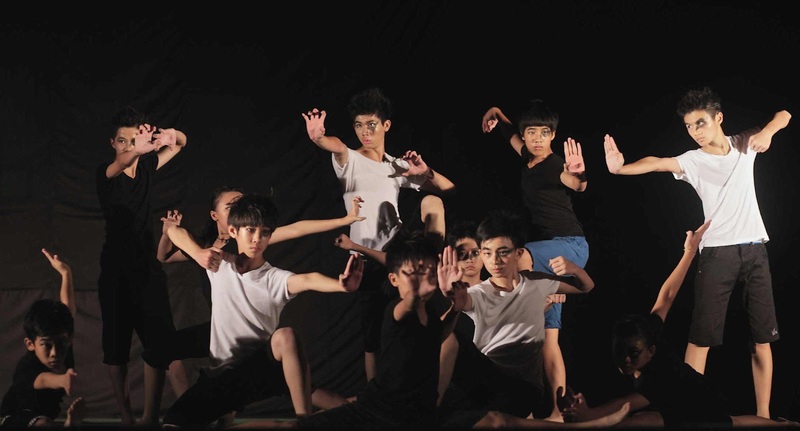 His confidence in the youngsters proved right when they impressed the audience with performances in a mix of martial arts with drama, dance and even comedy. In 1998 Lee founded Lee Wushu Arts Theatre to promote wushu cultural activities and to preserve the tradition of this martial art. Since 2001, Lee has presented the visual and physical aesthetics of wushu in several shows like Wushu and Dance, Wushu and Dance United and The King’s Sword. For the 7th Johor Baru Arts Festival in 2010, Lee directed a powerful drama entitled, “Farewell, My Concubine: The Movement of the Martyr” and “Wushu Madness,” a dance drama in contemporary dance mixed with wushu martial arts that portrayed the insanity of our daily rat race, for the 8th JB Arts Fest in 2011. Lee Wushu has since garnered wide experience through highly acclaimed performances at the Georgetown Arts Festival in Penang and the International Youth Arts Festival in London. Lee however, is deeply committed to cultivating interest and commitment to the art among young people. In 2002, 2004 and 2006, Lee Wushu jointly organised Wushu Camps in cooperation with Sin Chew Jit Poh, Nanyang Siang Pau and the Johor Wushu Association respectively, to generate greater interest in wushu among the participants. The presentation of “Wushu Fusion” was another avenue that Lee used to cultivate fresh talent in his unique style of wushu performing arts. 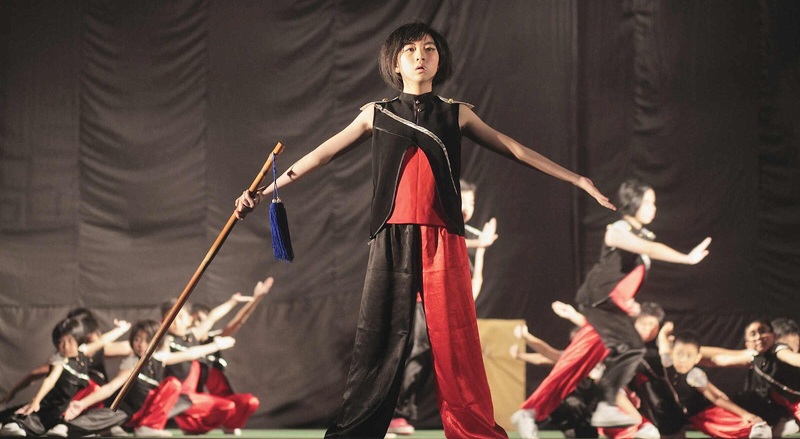 The performances kicked off with more experienced wushu artistes from the Lee Wushu Arts Theatre Apprentices Teams followed by a programme of performances by school teams and guest artistes before closing with artistes from the Lee Wushu Arts Theatre Team. 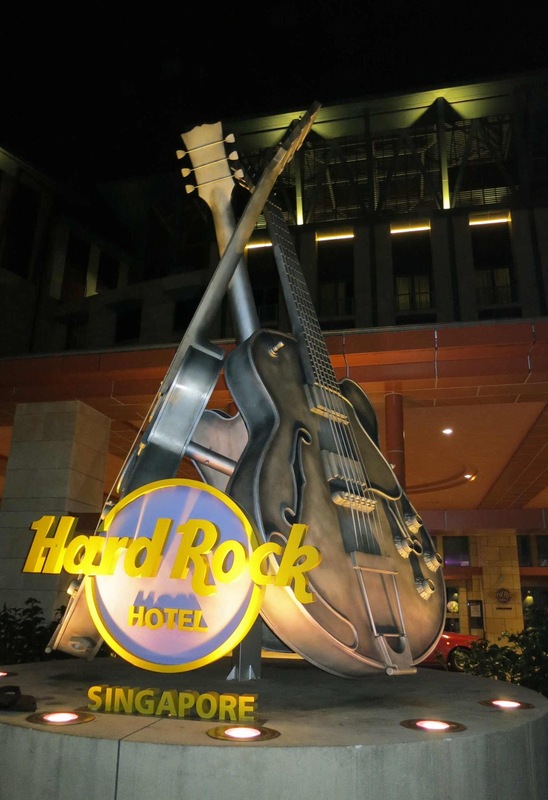 The moment I stepped out from my car at the front porch of the Hard Rock Hotel, Sentosa, I was greeted by name. 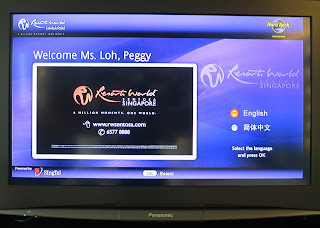 I turned to the young lady who was there expecting my arrival and introduced herself as Cindy, a consultant with the PR agency, working with MasterCard Worldwide, the hosts of the media visit for Priceless Singapore. After a very smooth and speedy check-in, she directed me to the bank of elevators that should take me to my room for a rest before the start of the day’s itinerary. I have reviewed the itinerary and was looking forward to a sneak peek into the Priceless moments that MasterCard holders can expect to experience and enjoy with Priceless Singapore. There was a shopping trip to Reebonz Space, dinner at The Tippling Club – helmed by top international chef Ryan Clift, a Chinese gourmet lunch created by chef Sam Leong and chef Mike Tan at Forest, Equarius Hotel, and a VIP tour of Universal Studios Singapore – one of South East Asia’s biggest tourist attractions. And while the hosts wanted the media to experience a luxurious stay with a bit of a rock edge at the Hard Rock Hotel, never in my wildest dreams did I ever think that this trip was going to culminate with such an exciting experience! As I followed the signs to the Guest Lifts and rounded the corner, I was welcomed by James “I feel good!” Brown and the incomparable King – Elvis Presley! 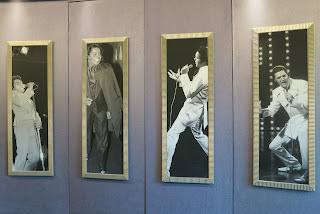 Their full-height posters graced one wall while the other wall had portraits of The Boss – Bruce Springsteen among others and a display with an outfit worn by Elvis in his movie, Speedway. I couldn’t help smiling as I feasted my eyes on these artifacts until the elevator “dinged” its arrival. 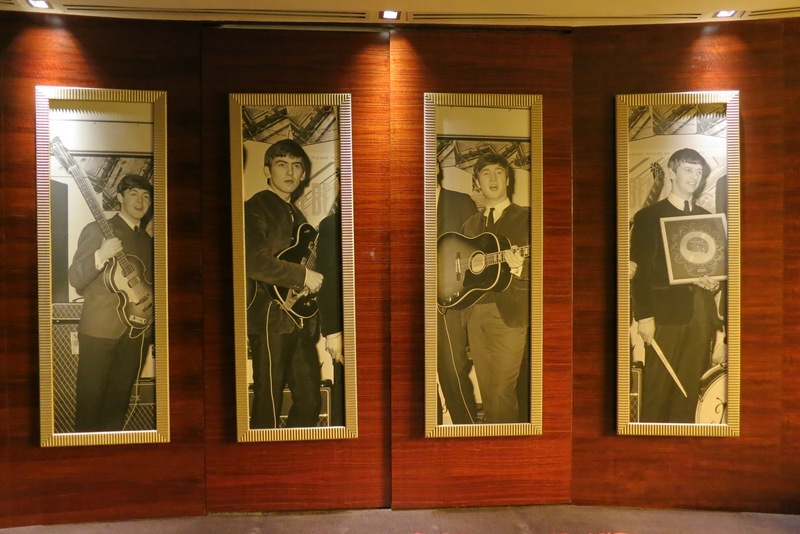 It was a short ride to my floor and when the doors slid open, I was greeted by the Fab Four – Paul, George, John and Ringo – collectively known as The Beatles! My smile widened as I paused to look at a showcase with a display of a pair of pinstriped pants that belonged to John Lennon and a collection of drum sticks that Ringo Starr used at concerts in 1964! 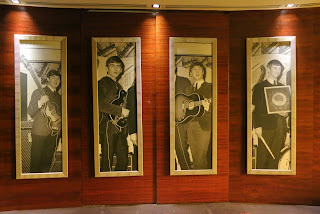 Looking at these items just brought back a flood of fond memories of my very unforgettable visit to The Beatles Museum in Liverpool. By this time, I was bracing myself for who else I may see inside my room. 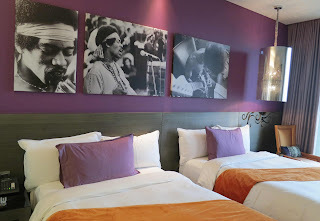 The Front Office staff said that at the moment, there was no room available with a King size bed so I accepted the twin-bedded room, agreeing to let the Housekeeping staff come “join” the two super-single beds for me to enjoy a Mega size bed! I entered my room and the Housekeeper was not there yet but I was delighted to see that I was going to share the room with Jimi Hendrix! 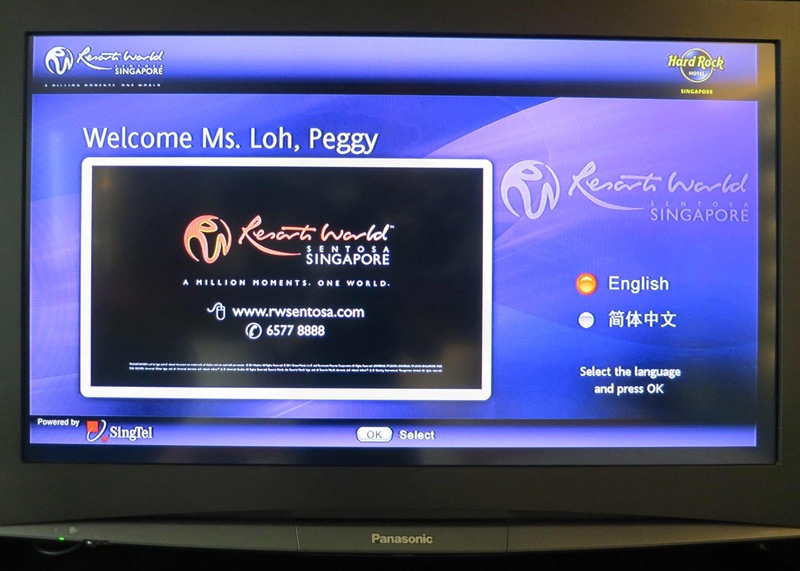 This was just the start of my Priceless Singapore experience, the tip of the proverbial iceberg because in the next two days, I had an exciting taste of what MasterCard cardholders can look forward to experience in the programme. 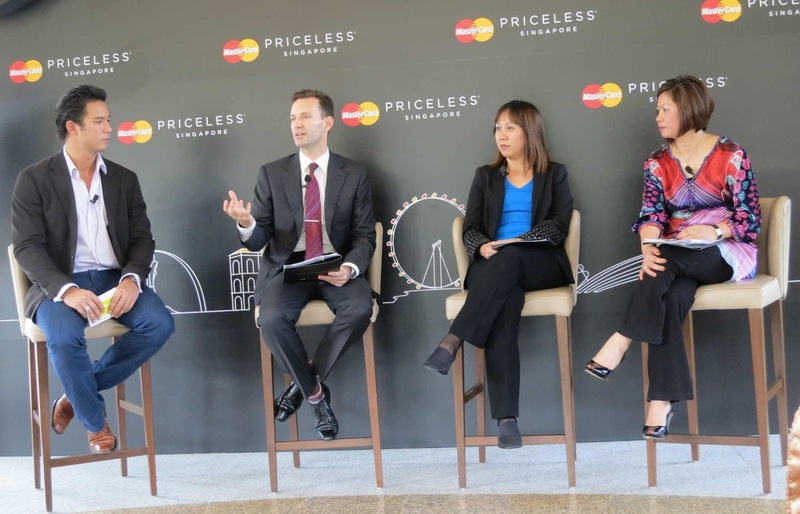 On 12 October, Singapore became the first city in South East Asia to launch the MasterCard Priceless Cities programme, a global programme for all MasterCard credit, debit and prepaid cardholders. These discerning and well-travelled consumers can gain access to the city’s finest restaurants and bars, the hottest designers and retail outlets, exclusive suites at the best hotels, the most exciting attractions in town and red carpet entertainment experiences. 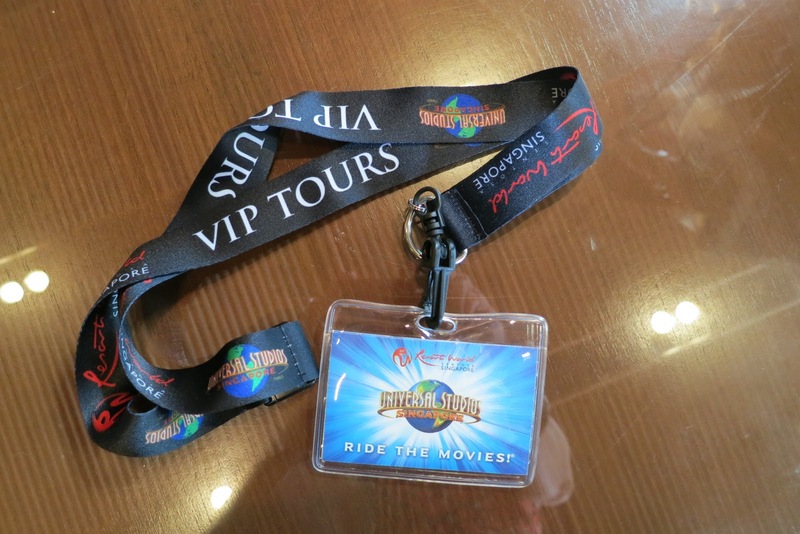 MasterCard Worldwide cardholders are also eligible for additional VIP experiences. Cardholders should register at www.pricelesssingapore.com to start enjoying these special access deals, perks and privileges. This info was shared at the Priceless Singapore Press Conference before we were transferred to the Marina Bay Cruise Centre for the Priceless Singapore Gala Event. At the close of the Press Conference, the host Dominic Lau couldn’t resist dropping some strong hints of what we can expect to see later at the Gala Event. As a short video clip was screened with the star [specially flown in for this event!] speaking to people on the streets of Singapore, I could not suppress a surge of anticipation to see him “live” because I already guessed it right – last night! Over dinner last night I was given a broad hint that there will be a pleasant surprise at the Gala Event and I was told, “But my lips are sealed…” I guessed it was a musician but the next clue gave the game away because the moment I heard that he is renowned for the soundtrack for the Batman Forever movie, I got it! Wow! 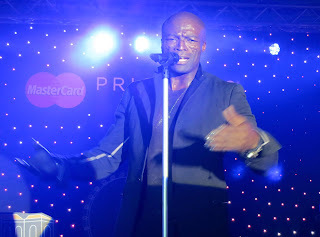 Later as I walked the red carpet into the event area – designed inside the brand new Marina Bay Cruise Centre – I was ready for a peek into the perks that MasterCard holders can have access to in the Priceless Singapore programme – and to see Seal in the flesh! I was with the three witches from Shakespeare's MacBeth! The Singapore Repertory Theatre had a stage set up in one section of the event area with several characters from various Shakespeare plays, reenacting scenes from ‘Shakespeare in the Park’ performances of A Midsummer Night’s Dream, Macbeth and Twelfth Night. Uniformed staff plied guests with drinks and food catered by Ritz Carlton Singapore and behind a curtained section, guests had a sampling of designer artisan spa chocolates and a skillful quickie shoulder massage treat. A creative percussion performance by the Urban Drum Crew kicked off the evening’s programme and MasterCard launched Priceless Singapore with a random draw that rewarded several lucky people with a VIP trip to the UK to watch a football match and an exclusive dining experience for the winner and thirteen friends at The Tippling Club. 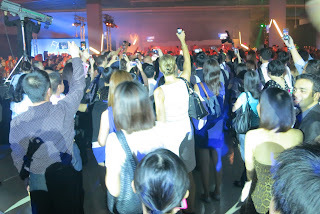 The gala evening turned out to be a party of friends who knew how to enjoy the finer things in life. After the food and drinks and a vocal performance by Vanessa Fernandez, I knew that the high point of the evening was near. 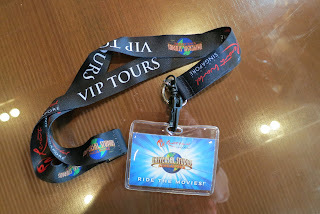 I thought that if MasterCard was seeking to meet the passion points of cardholders and reward them for choosing to use MasterCard, they did a great job in showcasing some of the attractions that are available exclusively to cardholders. The moment I saw the short video clip of Seal that was earlier screened at the Press Conference, I did not hesitate but headed directly to the front of the stage as the screen changed to show “live” scenes of Seal’s entry into the event hall. While his band (already on stage!) 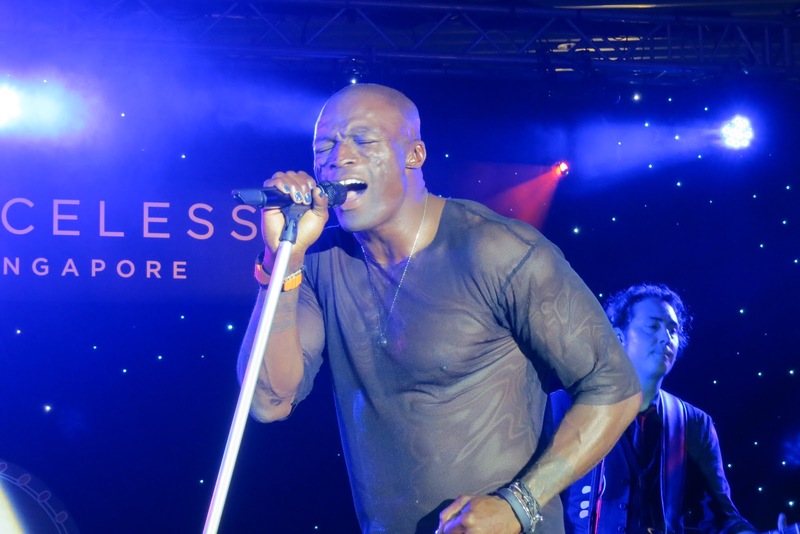 struck up the music, security personnel helped to part the surging crowd as Seal walked in singing! It felt like Seal was only singing to me! 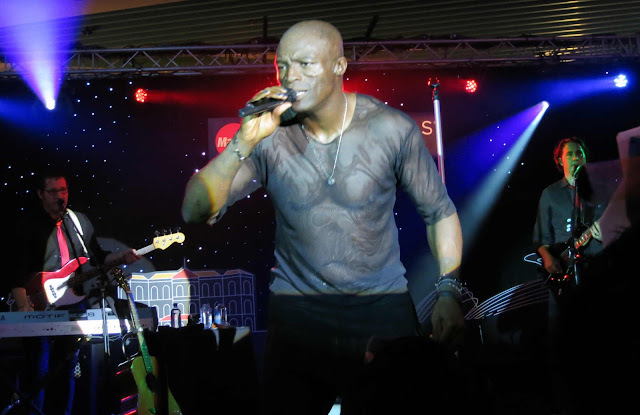 This kicked off 45 solid minutes of special Seal moments where he entertained and enthralled the appreciative audience with his distinctive brand of music. From my front row position, I saw how he sang effortlessly and flawlessly. With the sweltering heat – from his energetic performance and our warm reception – he had to pause between songs to mop his perspiration and refresh with sips of water. 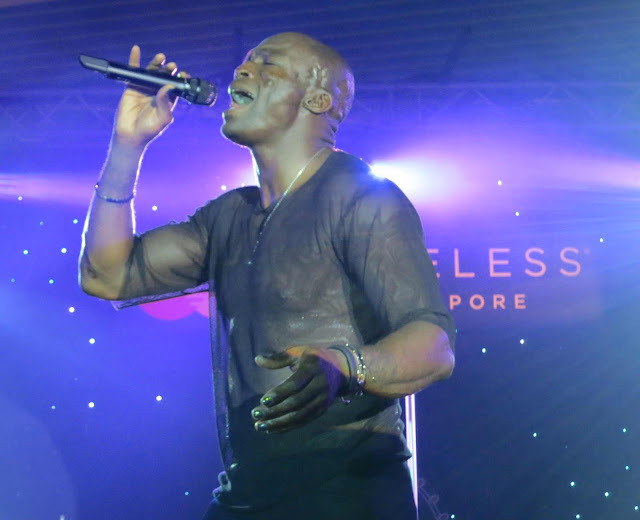 Seal gave us an intimate showcase of his unique repertoire and like a true professional, worked the audience with his lively banter. He belted out familiar favourites like, Crazy and of course, Kiss from a Rose from the Batman Forever soundtrack and when he did a cover of Al Green’s Let’s Stay Together, his soulful rendition was so beautiful that for a moment, it felt like he was only singing to me! He connected easily with the audience and when he finished his final song, everyone was at an emotional high and so hyped up that it was not easy to see him go. I must confess that I was on the brink of tears and it took conscious effort to pull myself together before I melted into a puddle on the floor! As soon as Seal left, I found a seat and vaguely remembered that the serving staff continued offering me drinks and snacks but I politely declined. Because after Seal, I needed nothing else! Back in my room at the Hard Rock Hotel that night, I not only went to bed with Jimi Hendrix watching me but I also had Seal on my mind. 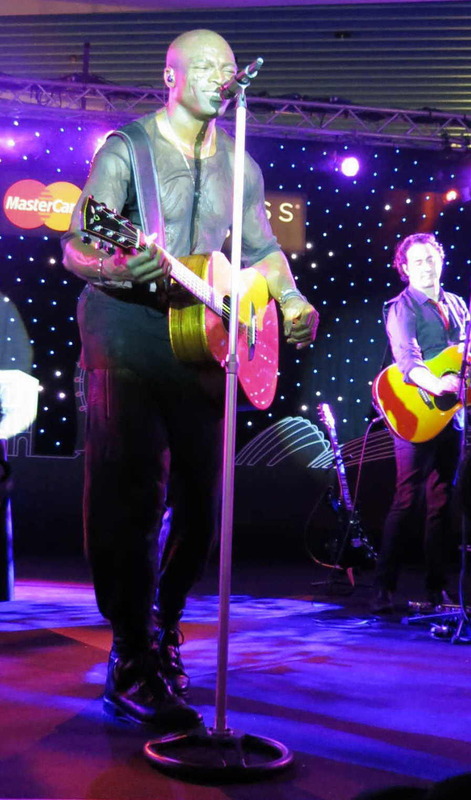 Thanks to MasterCard, I had a truly priceless experience – one that I would treasure for a long, long time. Before falling asleep and drifting into dreams filled with spectacular moments with Seal, I made a mental note to register at www.pricelesssingapore.com and to check out those exclusive experiences and deals that MasterCard cardholders can look forward to enjoy. 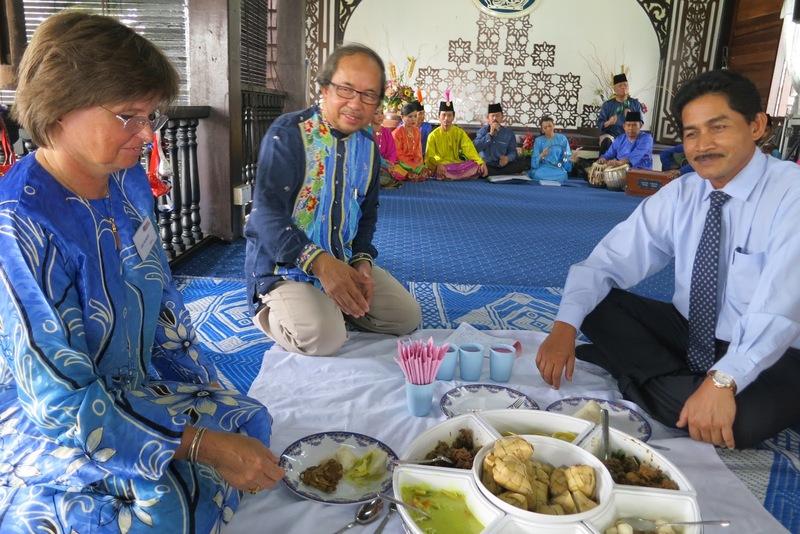 The month of Syawal may be over but members of International Women’s Association (IWA) Johor Baru still enjoyed Malay customs and food usually served in the Hari Raya celebration. Some 40 IWA members and their guests attended the event, hosted at the Rumah Limas Johor in the premises of the Johor Heritage Foundation or Yayasan Warisan Johor (YWJ). 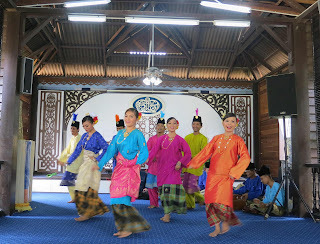 Just as was customary when entering a Malay house, footwear was removed before the ladies stepped into the event hall designed within the structure of a traditional Johor house. The ladies gathered in the front verandah or anjung of the house while the catering staff rolled out woven mats overlaid with lengths of white table cloths in two rows across the wooden floor of the hall. The serving dishes and drinks were for groups of five in the linear arrangement and it was exciting that they were not going to dine on any furniture but in the traditional way, on the floor. While IWA President, Leila Nordgren, chose to wear a beautiful Baju Kurung to the event, members also dressed comfortably to sit on the floor. The next two hours passed too quickly after YWJ Director, Hj Muhamad Fuad Hj Radzuan, welcomed the ladies and gave a brief introduction about YWJ, a semi-Government body and its aim to preserve and promote Johor Malay culture heritage through music, dance and theatre shows. 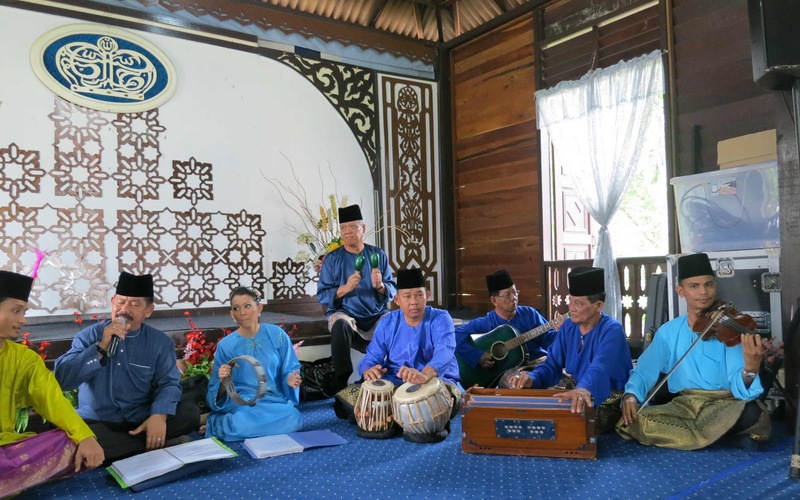 He was proud to say that Johor’s ghazal music and zapin dance have been showcased to packed and appreciative audiences locally and abroad. While they are now preparing for a performance in Istanbul next month, YWJ has on-going cultural events here, to which he also invited the IWA members to enjoy. 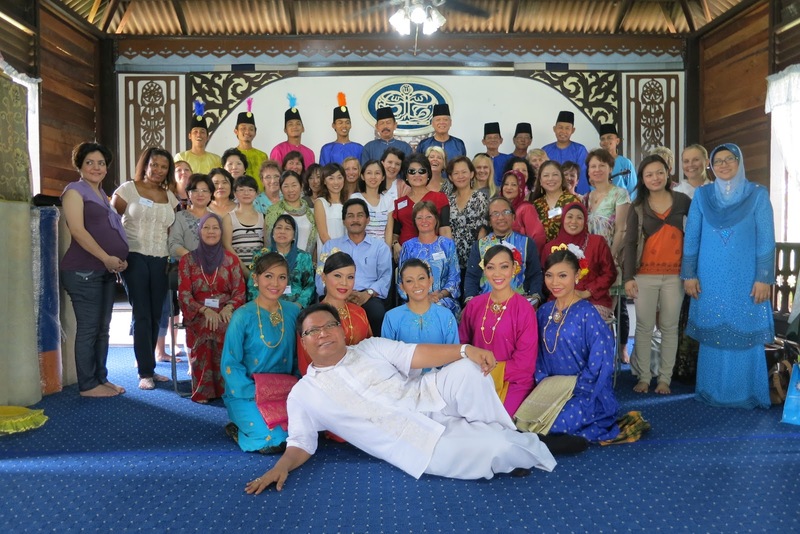 Impressed by the ladies’ interest in Johor Malay culture, YWJ Assistant Director, Hj Dzul Karnian Asmawi, complimented them by declaring that this was the first time YWJ hosted a number of ladies who represented an international community in Johor. He went on to introduce the features of the Rumah Limas Johor that has five or lima in Malay language, points in its roof with five spaces below, traditionally designed for specific purposes like the front verandah, rear verandah, family area, hall and kitchen. Its high ceilings and open verandahs offer an airy ambience even though the structure here was slightly modified for use as a multi-purpose hall. 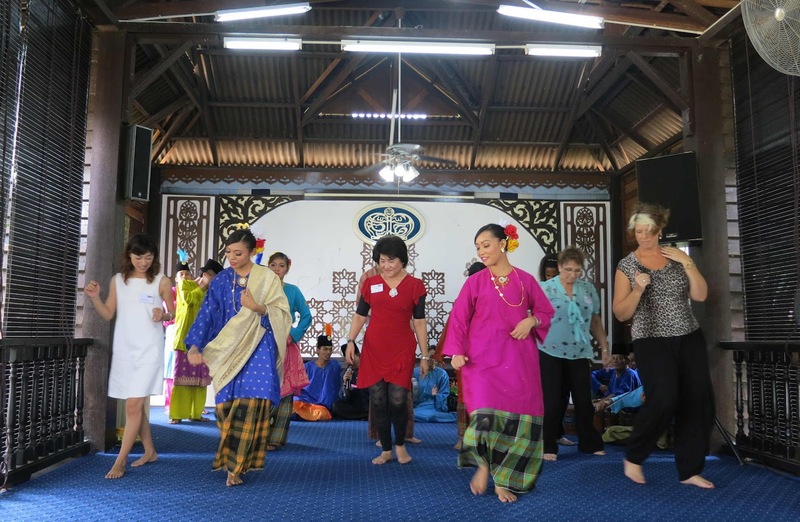 “We are delighted that our event is held in the Rumah Limas, a traditional Johor Malay house,” said IWA President, Leila Nordgren, as she thanked the YWJ for graciously accommodating them in spite of their busy schedules in organising cultural events. It was a new experience for most of the ladies to sit on the floor and probably only the Japanese ladies who have a similar tradition, felt at home sitting on the ground to enjoy their meal. 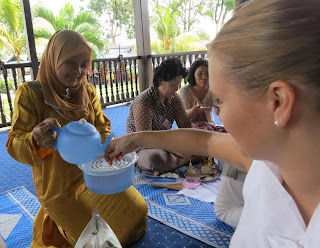 The ladies were introduced to each food item like the ketupat, rice cubes packed inside a woven palm leaf casing, sayur lodeh (vegetable stew), rendang (beef) and traditional condiments and sweets eaten on the first day of Hari Raya. While cutlery was provided with the plates, Dzul Karnian encouraged them to try to eat the traditional way, with their hands. Before starting to eat, the ladies were introduced to the kendi, a traditional piece of tableware with a pot and receptacle to collect water as hands are being rinsed. During the meal, live entertainment was provided by YWJ’s ghazal band and zapin dancers. As Shafie Ahmad, YWJ’s Cultural Officer, introduced the various instruments in the ghazal band, it was interesting to note that they also used the tabla (drums) and harmonium, musical instruments that are traditionally used in Indian music. 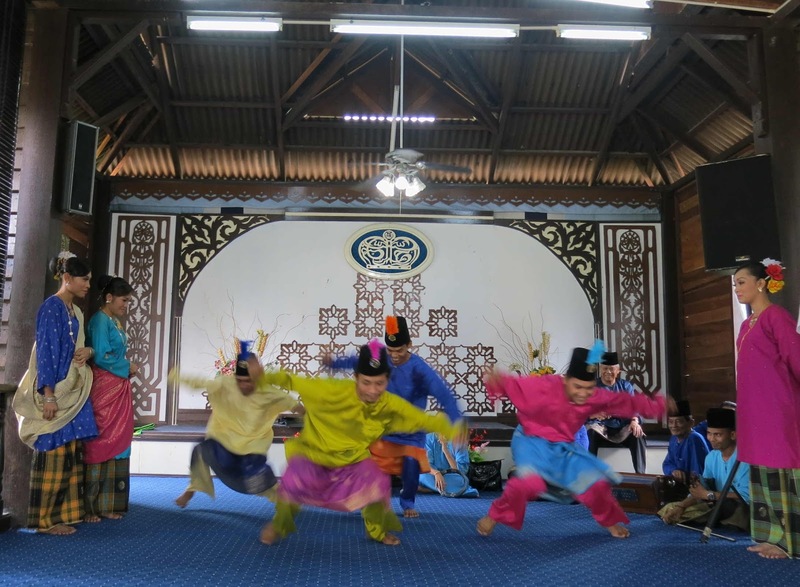 Shafie explained that the origin of the name, Johor, is derived from the Arabic word Jauhar for “precious stone” or “gem.” He said there are two forms of zapin dance – the Arabic and the Malay zapin – and YWJ dance professionals widely researched the zapin with dance practitioners in the various Johor districts and have identified 14 recognised types of zapin. To demonstrate the distinct differences among the various types of zapin, the dancers performed the Zapin Pulau that originated from Mersing, followed by Zapin Pekajang (Johor Baru), the Zapin Tengelu (Mersing) which features energetic body twists, Zapin Lenga (Muar) and the Zapin Tanjung Labuh (Batu Pahat). 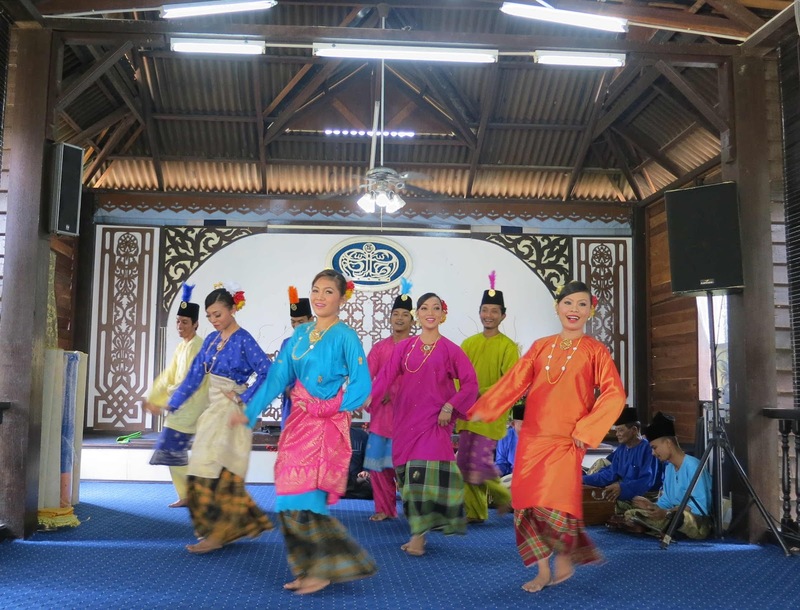 While members of dance troupes usually wear uniform costumes, Shafie explained that the dancers deliberately wore different outfits to showcase a variety of traditional Johor costumes or Busana Johor. 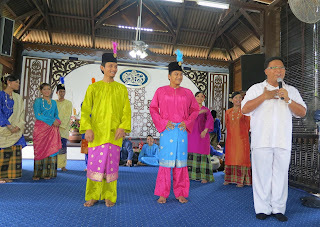 One of the dancers modeled the Baju Melayu Teluk Belanga for men, where a kain dagang or sarong is worn over the trousers but under the shirt in the typically Johor style of Baju Melayu berkain dagang dalam style. 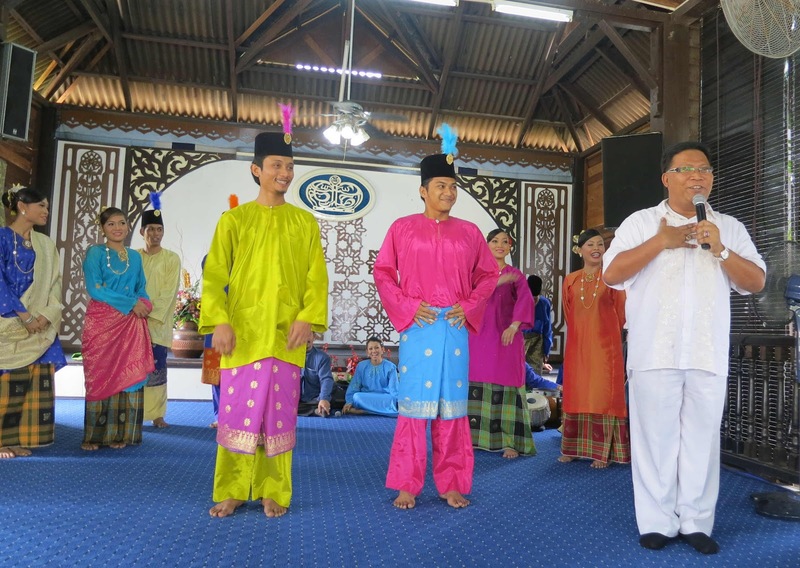 In contrast, men may also wear the kain dagang over the outer garment in an alternative style of Baju Melayu berkain dagang luar, where the sarong is pleated at the front center and folded down twice with a neat, flat waistband. For the lady’s costume, the traditional kain dagang is a versatile column of fabric with multiple uses. Shafie invited a female dancer to demonstrate how it has traditionally been used as a head covering to protect against the elements, a receptacle to carry firewood or fruits and for special occasions, it is an accessory to dress-up the ensemble. 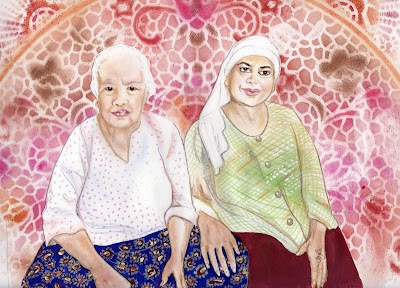 Since the 1940’s selendang or shawls became fashionable and were used as head-coverings and an accessory especially for attending weddings and public events but by the 1950’s many ladies chose to replace the kain dagang with other head-coverings. The IWA ladies were also thrilled to learn interesting snippets about the traditional way the kain dagang was worn to differentiate between married and single men and women. 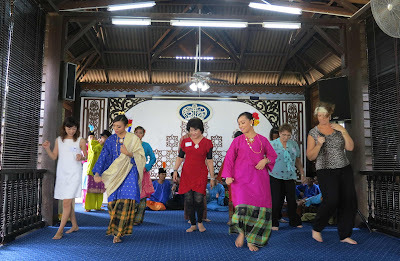 After they learnt more about Johor Malay culture, the YWJ dancers invited the ladies to try dancing the steps of the zapin and the joget with them. Volunteers representing the United States of America, Japan, Russia and Korea enjoyed learning the traditional dances as the culturally enriching event drew to a close. September is special because it always kick-starts with a series of birthdays. This is one month in the year where birthdays are celebrated one after another because so many of our dear ones have their birthdays in September. It’s not possible for us to come together for each birthday so we try to combine the celebrations wherever possible. Even the heavy rain storm did not stop us from having a delightful dinner for my sister Ruby, nephew Brendon and mum, early in the month. Part of the menu had to be pre-ordered and as we savoured the tasty banquet-in-a-basin specialty, we could not resist taking photos of the delicious dishes to share it with my nephews in Perth. With the convenience of modern technology, we connected through Skype for the boys to “join us” for dinner and to wish their grandmother a Happy Birthday! I know it is mind-boggling for our parents to see and speak to their grandsons on Skype but we are “training” them to accept the wonder of modern technology! 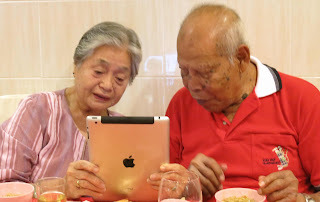 It is difficult for them to progress from an age when it was a luxury to possess a portable transistor radio, till today where we have such convenient mobile global connectivity with a wafer-thin gadget called an ipad! Just the sight of mum and dad’s facial expressions as they saw and spoke to the boys “live” in another part of the world – is simply priceless! On the other side of the world, nephew Jamie celebrated his 30th birthday not just on one day but through to the weekend. So it was almost the end of the month before he found time to write me about how he wasn’t particularly looking forward to reaching that significant round number 30, but from his newsy email, I can say that he has weathered it very well! Besides birthdays, I was up to my eyeballs with arts and culture activities because this September was also the JB Arts Fest month. 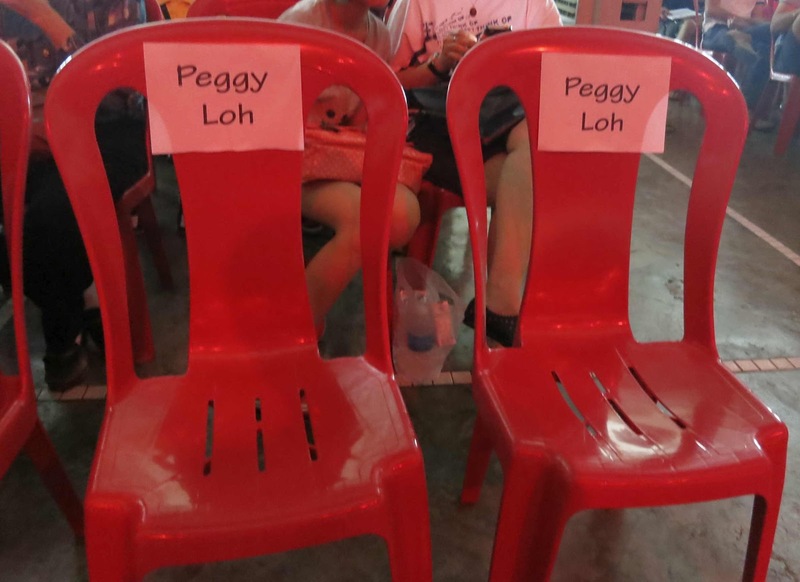 When I went to the Festival Village early in the month to find out more about new shows and exhibits, Festival Director Suzie Yap, introduced me to the crew as, Auntie Peggy. 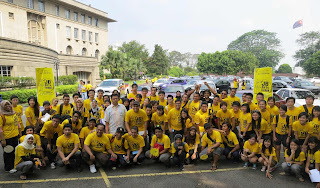 While some of the regular crew members were familiar with me [after all, this is the 9th JB Arts Fest!] there were several interns from KDU University College who could not hide their surprise at such familiarity but obeyed Suzie [in a typically Asian way] and politely echoed, “Hello, Auntie Peggy!” So each time I was at the Festival Village – and that was quite often – I had a few nieces and nephews who would greet me with a friendly, “Hello, Auntie Peggy!” I’m already an aunt to my nieces and nephews so what’s a few more nieces and nephews if they were polite young people? 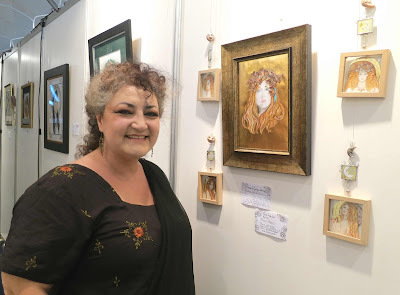 By mid month, I was already a familiar figure at the Festival Village because I was frequently at the shows and exhibitions. On Sept 16, I was meeting some people at the JB Readers & Writers Festival when the organisers of the Season 2 Heritage Race called me aside for a word. At this time, they had reviewed the answers to quiz questions that were given along with tasks for the participating teams to do at various checkpoints along the route. I am familiar with Johor history and understand that under the Temenggong Ibrahim administration, Chinese planters who arrived in Johor Baru from Riau and Singapore obtained a permit known as surat sungai from the ruler to cultivate pepper and gambier. Permit holders were kangchus or river masters and Tan Kee Soon, Tan Hiok Nee, Lim Ah Siang and Wong Ah Fook were some of Johor’s prominent kangchus. These planters developed Johor’s economy through sheer hard work and they became wealthy towkays. Speaking of popular, award-winning dance virtuoso and cultural icon, Ramli Ibrahim, was in JB for a one-night only performance of Vision of Forever, and I had the privilege of meeting him after the show. When my article, A Dance Icon’s Vision, was published on Sept 20, I received a call from an Indian classical art academy student, asking me about Ramli’s show and lamented about how they missed it. I shared her regret because it was such an inspiring performance and I know students of Indian classical art would certainly have appreciated it. It was also organised right smack in the middle of the JB Arts Fest – and not part of the calendar of events – and it compelled me to choose between the exciting programmes on the same day! I hope so too – especially with more shows in JB – so that more of his fans here may have the opportunity to be inspired by his passionate interpretations of this ancient Indian dance. Check out my Reserved seats! The day after Ramli’s Vision of Forever show, I joined a stadium full of drumming fans for the 2nd International Invitation & National 24 Festive Drums Competition, a major event for the JB Chinese community that was organised as part of the 9th JB Arts Fest. The day after I enjoyed the musical drama, Bumi Berlantai Permata III, that marked the end of the JB Arts Fest, I was with an auditorium of martial arts fans to watch 400 students perform, Wushu Fusion. It was truly a commendable effort in a well choreographed show and I had an unobstructed view from my special reserved seats! On top of the arts and cultural events, I was at food tasting events as well as charity and other events that kept me fully occupied throughout the month. All the running around in this weather, meeting so many people and working late into the night has stretched my resources to its limit. So it came as no surprise when it all took a toll on me. While I thoroughly enjoyed the eventful month of September, I wish that art and culture events can be spread out more evenly throughout the year. 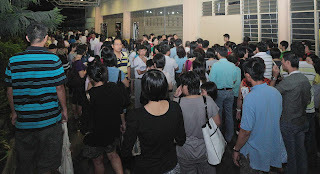 With enough publicity, fans in JB can anticipate the shows and plan to attend them, say in each quarter of the year. Maybe this is something the organisers can consider for the future. Meanwhile, I will concentrate on getting well again.